Addaction is one of the UK’s leading mental health, drug and alcohol charities. We work with adults and young people, in community settings, in prisons, in residential rehab and through outreach. In 2017 we supported 140,000 people. Our services include support around Mental Health, and Alcohol and Drugs, for a range of groups and populations including adults, young people, friends and family, veterans, people involved with the criminal justice system, and older people. Since 2014, Addaction has supported over 500 veterans with problems related to drugs and alcohol through our pioneering Right Turn programme. Right Turn is a veteran-specific substance misuse recovery model that acknowledges the specific experiences of people in the armed forces community and focuses on re-directing the comradeship that underpins military life towards supporting recovery. Amongst a range of opportunities, support comes in the form of specialist one-to-one sessions, peer-support groups, access/referral to prescribing services, and pathways to other veteran services. 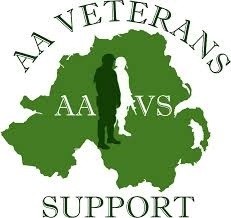 Support for veterans with substance or alcohol misuse problems is available at any Addaction service. Excellent recently refurbished, self-contained flats at an affordable price in Newcastle and Liverpool. Communal facilities for recreation and training, an IT suite, WiFi, laundry room and garden. Assistance to arrange and manage benefits and finances. Training for employment through other providers. Assistance with job searches and job applications, with other providers. Assistance with search for permanent accommodation, with other providers. Access to recreational, sporting and adventure pursuits, with other providers. Engagement with the local community. We offer sheltered housing that is supported by an on-site warden. Accommodation consists of single and double flats within a communal court set in beautiful grounds. Pastoral support to serving personnel and their families centred around coffee bars situated on bases around the UK. Children’s afterschool and holiday clubs, and groups for parents and toddlers in Rowner Gosport. Storybook Waves provides the opportunity for service personnel who are deploying to record bedtime stories for their children. Executive management of the Naval Families Federation. The Alexander Duckham Memorial Schools Trust aims to promote the education and welfare of children of members, and former members, of the RAF who are in need of financial assistance.